The term Bhakti comes from the root ‘Bhaj’, which means ‘to be attached to God’. Bhajan, worship, Bhakti, Anurag, Prem, Priti are synonymous terms. Bhakti is love for love’s sake. The devotee wants God and God alone. There is no selfish expectation here. There is no fear also. Therefore it is called ‘Parama Prem Rupa’. The devotee feels, believes, conceives and imagines that his Ishtam (tutelary deity) is an Ocean of Love or Prem. Bhakti is the slender thread of Prem or love that binds the heart of a devotee with the lotus feet of the Lord. Bhakti is intense devotion and supreme attachment to God. Bhakti is supreme love for God. It is the spontaneous out-pouring of Prem towards the Beloved. It is pure, unselfish, divine love or Suddha Prem. There is not a bit of bargaining or expectation of anything here. This higher feeling is indescribable in words. It has to be sincerely experienced by the devotee. Bhakti is a sacred, higher emotion with sublime sentiments that unites the devotees with the Lord. Mark how love develops. First arises faith. Then follows attraction and after that adoration. Adoration leads to suppression of mundane desires. The result is single-mindedness and satisfaction. Then grow attachment and supreme love towards God. In this type of highest Bhakti all attraction and attachment which one has for objects of enjoyment are transferred to the only dearest object, viz., God. This leads the devotee to an eternal union with his Beloved and culminates in oneness. Bhakti is of various kinds. One classification is Sakamya and Nishkamya Bhakti. Sakamya Bhakti is devotion with desire for material gains. A man wants wealth with this motive practices Bhakti. Another man wants freedom from diseases and therefore does Japa and offers prayers. A third one wants to become a Minister and does Upasana with this aim. This is Sakamya Bhakti. Whatever you want the Lord will certainly give you, if your Bhakti is intense and if your prayers are sincerely offered from the bottom of your heart. But you will not get supreme satisfaction, immortality and Moksha through Sakamya Bhakti. Your Bhakti should always be Nishkamya Bhakti. God has already given you a good position, a good job, wife and children and enough wealth. Be contented with these. Aspire for Nishkamya Bhakti. Your heart will be purified and the Divine Grace will descend upon you. Be in communion with the Lord, you will become one with the Lord and you will enjoy all the Divine Aisvaryas (Divine attributes like wisdom, renunciation, power, etc.). All the Vibhutis (Special forms in which the Lord manifests) of the Lord He will give you. He will give you Darsan. He will help you to dwell in Him. At the same time He will give you all the Divine Aisvaryas also. Another classification of Bhakti is Apara-Bhakti and Para-Bhakti. Apara-Bhakti is for beginners in Yoga. The beginner decorates an image with flowers and garlands, rings the bell, offers Naivedya (food-offerings), wave lights; he observes rituals and ceremonies. The Bhakta here regards the Lord as a Supreme Person, who is immanent in that image and who can be propitiated through that form only. He has no expanded heart. He is a sectarian. He dislikes other kinds of Bhaktas who worship other Devatas. Gradually, from Apara-Bhakti, the devotee goes to Para-Bhakti, the highest form of Bhakti. He sees the Lord and Lord alone everywhere and feels His Power manifest as the entire universe. “Thou art all-pervading; on what Simhasana shall I seat Thee ? Thou art the Supreme Light, in whose borrowed light the sun, the moon, the stars and the fire shine; shall I wave this little Deepa or light before You ?” – thus the devotee recognizes the transcendental nature of God. Para-Bhakti and Jnana are one. But every Bhakta will have to start from Apara-Bhakti. Before you take your food, offer it to God mentally; and the food will be purified. When you pass through a garden of flowers, mentally offer all the flowers to the Lord in Archana (offering flowers in worship). When you pass through the bazaar and see a sweetmeat shop, offer all the sweetmeats as Naivedya to the Lord. Such practices will lead to Para-Bhakti. Bhakti is also classified into Gauna-Bhakti and Mukhya-Bhakti. Gauna-Bhakti is the lower Bhakti and Mukhya-Bhakti is the higher type of Bhakti. Go from stage to stage. Just as a flower grows in the garden, so also gradually develop love or Prem in the garden of your heart. The enemy of devotion is egoism and desire. Where there is no Kama or desire, there alone will Rama (the Lord) manifest Himself. The enemies of peace and devotion are lust, anger and greed. Anger destroys your peace and your health also. When a man abuses you, keep peaceful. When blood begins to boil, it is impoverished. You lose vitality if you become a prey to fits of temper. It would be a gross mistake if you consider Bhakti as merely a stage of emotionalism, while it is actually a thorough discipline and training of one’s will and the mind, a sure means to intuitive realization of God Almighty through intense love and affection for Him. It is a means to thorough apprehension of the true knowledge of Reality, beginning from the ordinary form of idol worship right upto the highest form of cosmic realisation of your oneness with Him. You can achieve this by following the eleven fundamental factors which Sri Ramanuja had prescribed. They are Abhyasa or practice of continuous thinking of God; Viveka or discrimination; Vimoka or freedom from everything else and longing for God; Satyam or truthfulness; Arjavam or straightforwardness; Kriya or doing good to others; Kalyana or wishing well-being to all; Daya or compassion; Ahimsa or non-injury; Dana or charity; and Anavasada or cheerfulness and optimism. Live in the company of saints. Hear the Lilas of God. Study the sacred scriptures. Worship Him first in His several forms as manifested in the world. Worship any image or picture of the Lord or the Guru. Recite His Name. Sing His glories. Stay for one year in Ayodhya or Brindavan, Chirakut or Pandhapur, Benares or Ananda Kutir. You will develop love for God. Every act must be done that awakens the emotion of Bhakti. Keep the Puja(worship) room clean. Decorate the room. Burn incense. Light a lamp. Keep a clean seat. Bathe. Wear clean clothes. Apply Vibhuti (sacred ash) or Bhasma, and Kumkum on the forehead. Wear Rudraksha or Tulasi Mala. All these produce a benign influence on the mind and elevate the mind. They generate piety. They help to create the necessary Bhava or feeling to invoke the Deity that you want to worship. The mind will be easily concentrated. Practice of right conduct, Satsanga, Japa, Smarana, Kirtan, prayer, worship, service of saints, residence in places of pilgrimage, service of the poor and the sick with divine Bhava, observance of Varnashrama duties, offering of all actions and their fruits to the Lord, feeling the presence of the Lord in all beings, prostrations before the image and saints, renunciation of earthly enjoyments and wealth, charity, austerities and vows, practice of Ahimsa, Satyam and Brahmacharya – all these will help you to develop Bhakti. 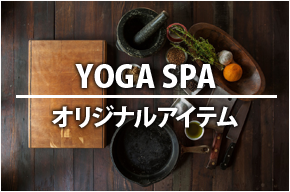 © Copyright 2019 新潟の総合ヨガスタジオ YOGA SPA yogayuH. All rights reserved.